Every year around this time I reread Dickens’ A Christmas Carol. I also watch it on TV. It doesn’t matter if it is Alastair Moore, George C Scott, Patrick Stewart or Jim Carrey playing the role of Scrooge, I just can’t get enough of this tale. Dickens himself grew up poor in the 1800s. His ability to write stories as well as act in plays earned him financial security but he never lost sight of the poor in his works. In spite of his wealth, Scrooge may well be the most poor of any Dickens’ character. He has no sympathy for those less fortunate than he, shows no compassion for his clerk, and consciously distances himself from his family. He believes the poor are better off in debtor’s prisons and workhouses. A sorry soul indeed. Those familiar with the story know that after being visited by the ghosts of Christmas past, Christmas present, and Christmas yet to come, Ebenezer Scrooge has a total change of heart and promises to live the Christmas spirit until the end of his days. One might conclude that Scrooge himself is the most important character if this story but I argue otherwise. 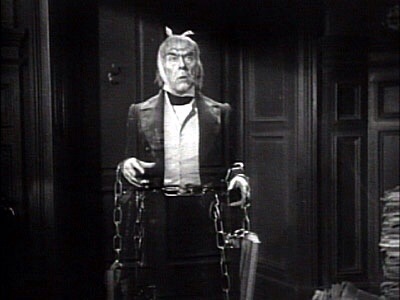 The most important character is a 4th ghost; Jacob Marley. Early on we learn that Jacob died 7 years ago on Christmas Eve. He was a shrewd businessman like his partner Scrooge. We see Marley punished and weighed down by the chains he forged in life, “Link by link and yard by yard.” Marley comes to warn his friend Scrooge of the fate that awaits unless Scrooge makes some changes. Without Marley, Scrooge would have suffered a worse fate as his own chains were much longer than those of his deceased partner Marley. The physician who tells us to loose some weight in order to prevent hypertension and heart disease. The teacher who challenges us to work harder. The spouse who asks us to spend more time at home. The child who asks for a push on the swings. The morning hangover that says enough is enough. The person who offers or asks for forgiveness. There are many people in our own lives who play the role of Jacob Marley; people who offer the chance for us to grow a little and become better persons ourselves. It is up to us to recognize these various Marleys and have the strength and courage to heed their words or take them up on their offer.